Here, you can learn more about our print and electronic collection focused on and "around" the field. We encourage you to explore our books and journals, complemented by other potentially useful reference resources and web pages. 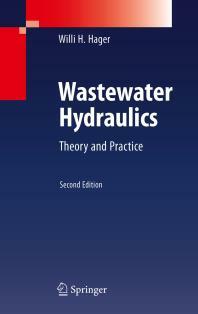 This subject guide was created in cooperation with Department of Hydraulics and Hydrology under CTU Faculty of Civil Engineering. ProQuest Ebook Central - ProQuest Ebook Central is an online library of eBooks for browsing and borrowing (i.e., downloading into a personal reader). The "Science & Technology" Collection covers nearly 30,000 books in science and technology as well as other eBooks the library selects. For downloadign eBooks to your computer or mobile device it is necessary to have instaled needed software. SpringerLink - SpringerLink is an extensive online database of full-text scientific journals, books, and reference works in science, technology, and medicine. The library's subscription provides access to articles from more than 1,700 journals and nearly 3,000 eBooks from Springer. Nature - Nature Publishing Group (NPG) is one of the most impact scientific publisher wih the focus to life, physical, chemical and applied sciences and clinical medicine. The NTK's subscription provides access to all content in all NPG journals. The Nature Complete package includes also one of the most prestigious scientific journal Nature has been published since 1869 and covers a wide range of scientific disciplines. Wiley Online Library - The Wiley Online Library is an extensive full text database with journals, books, and reference works. The library subscribes to more than 1,100 eJournals and seventy eBooks focused on technology and the natural sciences. In 2017, NTK patrons can also access the complete Wiley eBooks collection. At the end of this year, selected titles will be made permanently accessible based on usage statistics and patron requests. If you are interested in retaining specific titles, please let us know at: eiz@techlib.cz. Taylor & Francis Online - Taylor & Francis is one of the world's leading publishers focusing on scientific literature. The library's subscription includes the collection Science & Technology Library where you can find more than 500 peer-reviewed academic journals. ASCE Environmental & Water Resources Engineering - The Environmental & Water Resources Institute is ASCE’s technical source for environmental and water-related issues. EWRI is one of eight ASCE technical institutes. Czech Technical University in Prague, Faculty of Civil Engineering, Department of Hydraulics and Hydrology - The department provides instruction in both theoretical and applied subjects in the Bachelor, Master and doctoral degree study. 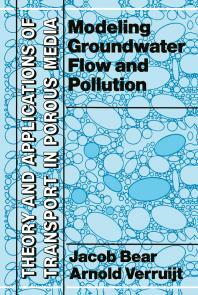 The main focus is on courses in Hydraulics, Hydrology, River Engineering and Water Management. The department also serves as a research workplace solving projects of fundamental and applied research. 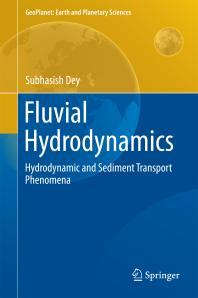 The research carried out at the department is thematically oriented towards: open channel flow and pipe flow, hydraulics of water structures and transport of sediments, flood protection and revitalization of streams, hill slope and catchment hydrology, rainfall-runoff modelling, transport of contaminants in natural porous formations. The Institute of Hydrodynamics AS CR - The Institute of Hydrodynamics AS CR, v. v. i., is a part of the Academy of Sciences of the Czech Republic. At the present time, the scientific research can be divided into four groups: fluid mechanics, hydrology, rheology and water treatment. Although it is not apparent, these subjects have many things in common. 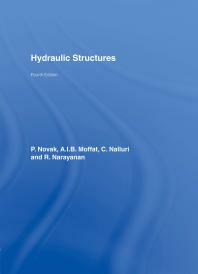 They relate to hydraulics, water management, civil, chemical and physical engineering and environment. TGM WRI - T. G. Masaryk Water Research Institute is an organisation focused both on applied and basic research, providing research solutions in water management and waste management. The Czech Water Association - The Czech Water Association (CzWA) associates experts, companies and institutions wishing to contribute to the effective and sustainable development in the field of water management and water environment protection. CzWA came into being in 2009 by transformation of the Association of Wastewater Treatment Experts (AČE ČR) established in 1992. CzWA is a national member of the international associations IWA and EWA representing the Czech Republic and collaborates on a basis of treaties with expert associations in Germany (DWA), Austria (ÖWAV) and Slovakia (AČE SR). IAHR International Association for Hydro-Environment Engineering and Research - IAHR, founded in 1935, is a worldwide independent member-based organisation of engineers and water specialists working in fields related to the hydro-environmental sciences and their practical application. Activities range from river and maritime hydraulics to water resources development and eco-hydraulics, through to ice engineering, hydroinformatics, and hydraulic machinery. ASCE Environmental & Water Resources Institute (EWRI) - The Environmental & Water Resources Institute is ASCE’s technical source for environmental and water-related issues. EWRI is one of eight ASCE technical institutes.